Mark is an Australian singer songwriter who started writing songs in the late 1980’s and has written/co-written over five hundred songs covering a wide variety of styles. He has also written with and for both male/female songwriters and acts of varying age demographics, highlighting his versatility and skill to be able to adapt to different writing opportunities. He has worked for small record labels, including his own, specializing in developing acts through co-writing and recording sessions and then pitching the acts to labels and publishers. Mark has had songs and videos played on local radio and TV stations and has won and/or had placings in a number of local and International Song contests over the years. He has also had songs released and published in the UK, Germany, Switzerland, Spain, Australia and the USA as well having a number of songs put on hold by various artists and labels. 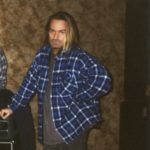 Mark has co-written on many toplines with various International dance producers and DJ’s as well as performing his own original songs in various rock bands and acoustic groups as a singer/songwriter. Mark has four songs currently published with Leopard Music: ‘Glorious’, ‘If I Was The Only Girl’, ‘Nuthin’ Without U’ and ‘What’s The Forecast’ which are all co-written with A-Zone Songbank co-founder Paul Tan. Mark has been heavily involved in writing and producing with Australian Singer-Songwriting collaborator CELESTE (who is the singer of ‘Glorious’) for a number of years. Among other achievements, they’ve had three European single releases with Belgian DJ/Producer Michael Fall. Two of the singles reached the Top 30 in the DJ charts of the UK, Germany and Switzerland.